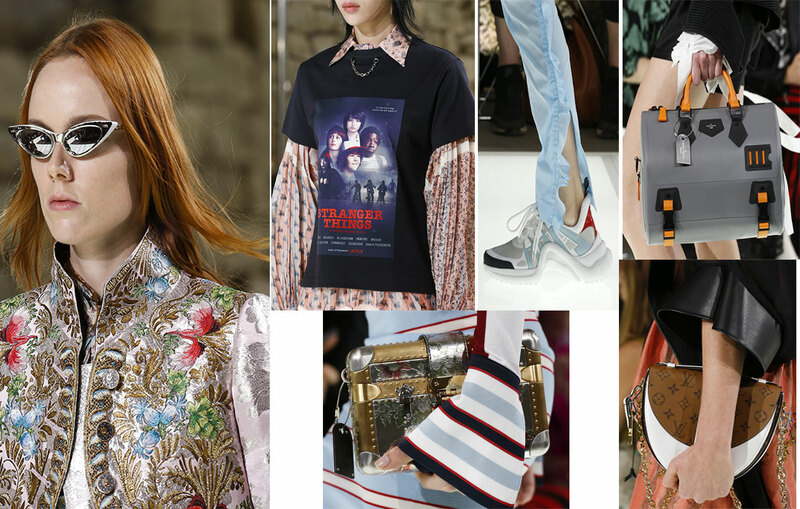 Paris ended with a complete BANG.For Spring, Nicholas Ghesquiere took us back to the 17th Century back to the age of Louis !6th. 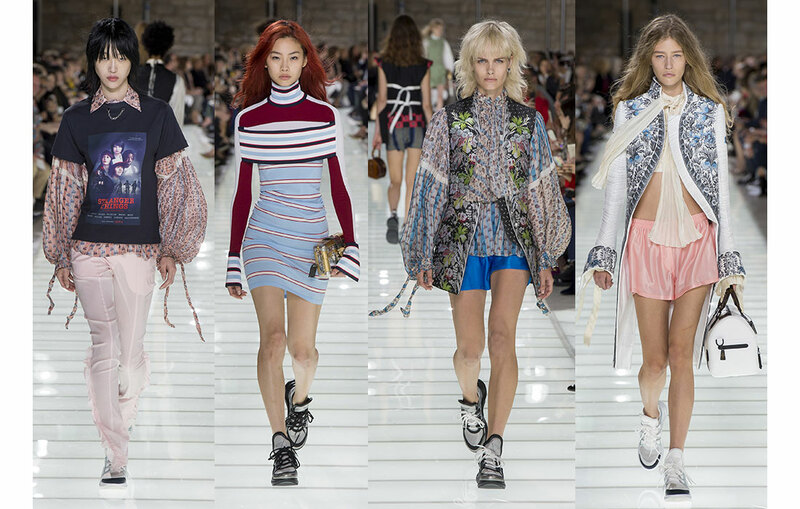 the Louis Vuitton show , the final show of Paris fashion week, was held at the Lourve’s Pavillion de Horologe. 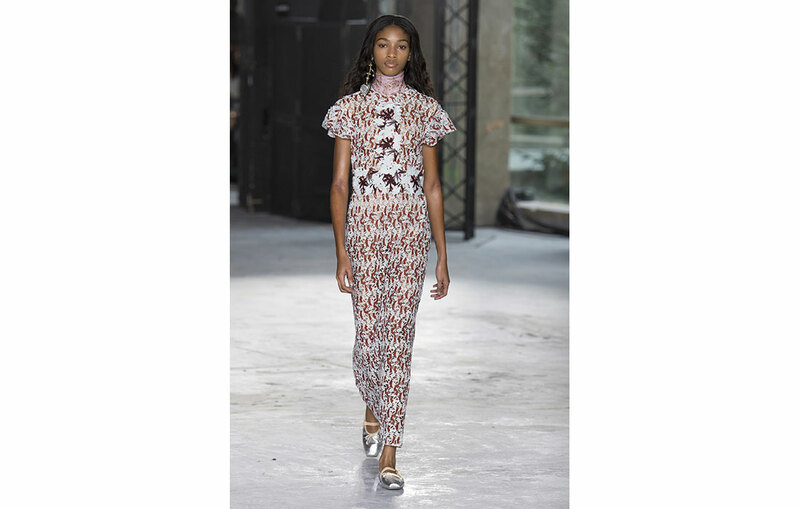 It was for the very first time , opened by a black model, Janaye Furman . History indeed. Marie Antoinette has become undone. 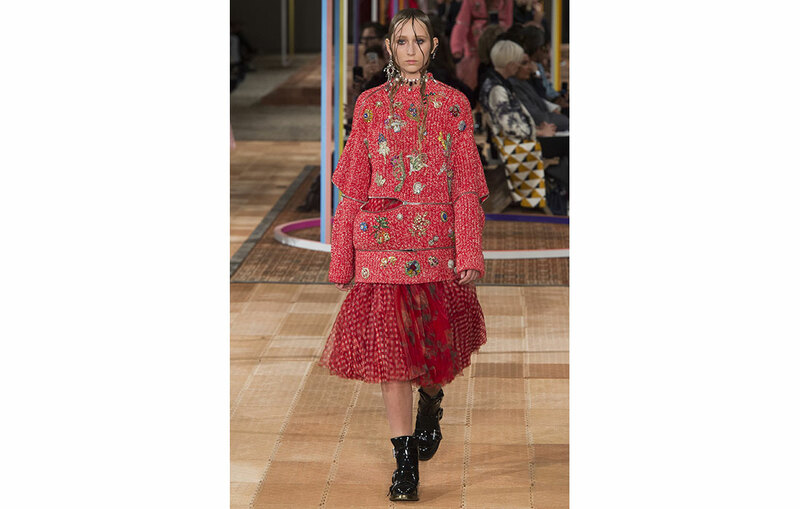 Ghesquiere deconstructed her dressing gown, undone her corset put her in Louis’s redingote and sent her into the 20th century”. Poets blouses worn with rock T-shirts , doublets worn with silk running shorts and dressing gowns. all this worn with Lv sneakers. Louis Vuitton is available at Louis Vuitton stores nationwide.